Neil Armstrong has died at age 82. Perhaps to honor his memory we can resolve as a society to continue to do inspiring things. Neil Armstrong said, "I remember when I was a kid had made the wooden aircraft. We all are really fortunate that such period of time chosen for us by nature, the history of the human race was fate. " 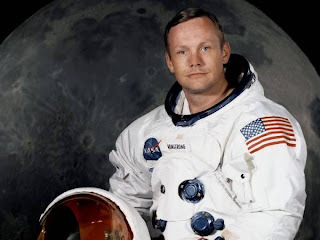 Neil Armstrong was born August 5, 1930 with the U.S. state of Ohio was wapakoneta. From the childhood only he had an urge to fly. That is why at the age of only 16 years, Armstrong got his pilot's license. In 1947 he had enrolled his name on Aeronautical collage. However in between of 1949 his education gets interrupted for sometimes, as USA government have called him to join USA govt on Korean War. Again leaving the U.S. Army in 1952 came back to college. Armstrong joined The National Advisory Committee for Aeronautics (NACA) few years later. This barrier to further Nation Aeronautics and Space Administration or NASA. In 1962, he first joined the space program. Gemini 8 space mission in 1966, he served as command pilot. 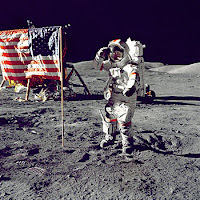 On 21st July 1969 Neel Armstrong have kepts his feet on the surface of moon. With the Apolo-11 mission Armstrong kepts his first steps on the surface of moon, in that mission he was appointed as commander of the Space Mission Spacecraft. Till now 12 Astronomy have reached to the surface of moon and all 12 Astronomies are American.